The bandana folds into instant, fashionable headwear. The word “bandana” has its origins in “bhandhana,” a Sanskrit word meaning “tying.” This simple square of fabric provides a multitude of uses. As a skull cap, the bandana makes a unique fashion statement, while serving the practical purpose of covering the head. 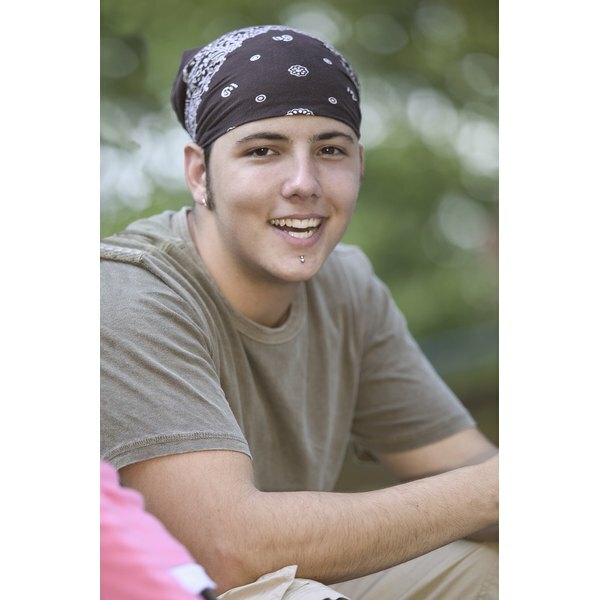 Folding and tying your bandana correctly keeps the bandana in place while ensuring a snug, but comfortable, fit. Lay the bandana on a table and smooth out any folds. Grab one corner of the bandana and fold it toward the opposite corner. For a tighter fit, do not fold the bandana precisely in half. Instead, place the folded corner just short of the opposite corner. Lay the long side of the bandana against your forehead with the folded side face down. Tilt your head back slightly to cause the top of the bandana to lay over your head. Tie the two ends in a half-knot behind your head. The half-knot keeps the bandana in place for now without making it overly tight. 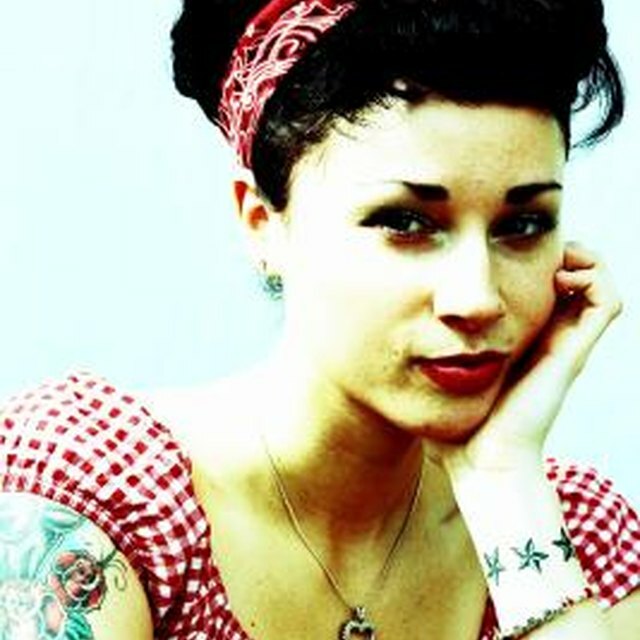 Fold the point at the back of the bandana beneath the half-knot. Pushing the point further beneath the half-knot results in a tighter fit over the head. Tie the two ends in second half-knot, securing the bandana in place.